It is officially located in Hapjeong-dong, Mapo-gu, Seoul. 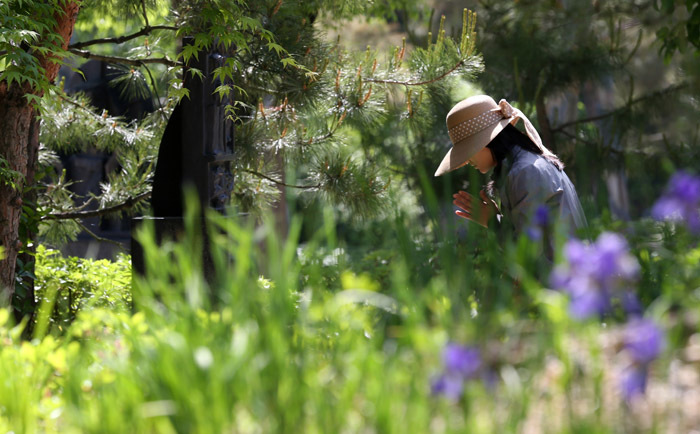 The name came from its regional landscape that was full of “yanghwa,” the flower of the willow tree. The port was known to have been called Willow Flower Port in the past. It is a peaceful place for people in search of a rest under the cooling shade, scenic beauty, as well as poetic adventure. It has been known that whenever Chinese envoys pay a visit to Korea, a cruise ship was set afloat here to welcome the foreign guests. 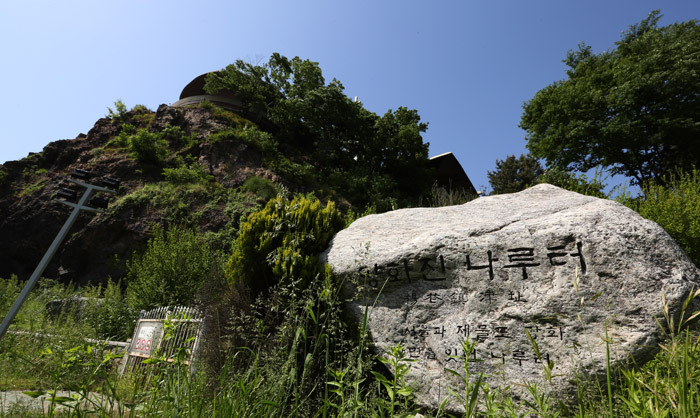 During the Joseon Dynasty (1392-1910), it served as an important transportation point that connects Hanyang (Seoul today) to Ganghwa Island as well as a place to store and distribute rice (then used as currency for paying taxes) to three southern regions — Chungcheong, Jeolla, and Gyeongsang. In the late 19th century, the area was a defensive point against ships from the western world who forced Joseon to open its own ports to the world. 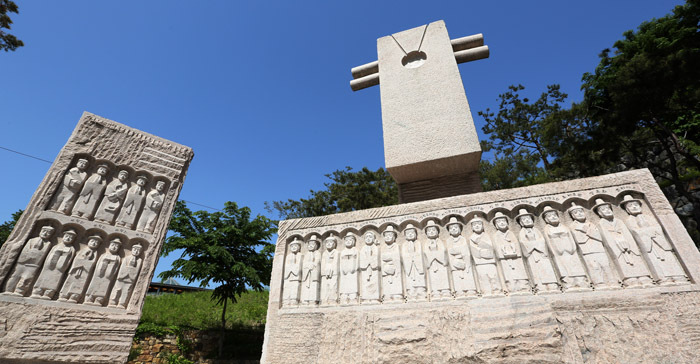 Only a memorial stone indicating Yanghwajin Port remains to this day to mark the region which was known to have been crowded with people waiting for ships to cross the Hangang River during the Joseon Dynasty. 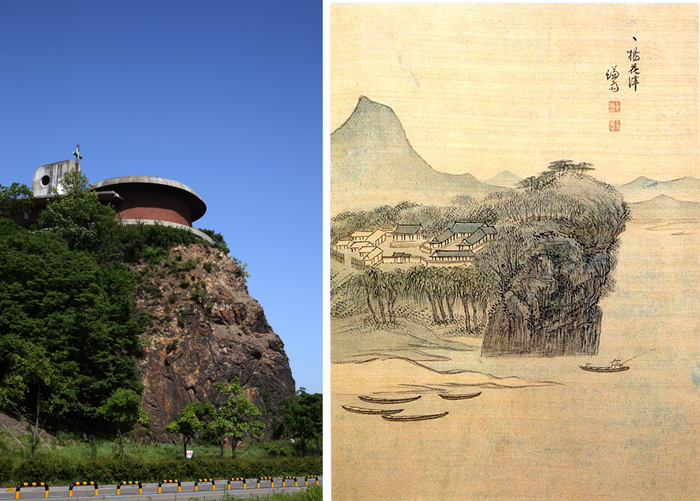 A small mountain peak in the east of Yanghwajin is Jeoldusan, previously called as Jamdubong for its shape similar to a silkworm turning its head up. The region also had versatile functions. Here, important national announcements were made, making the most of its regional characteristics that had always been crowded with people. For the same purpose, criminals were executed here in an effort to alert the public to the importance of strict observance of laws. The 1866 persecution of Catholics turned its previous name Jamdubong into Jeoldusan. The religious persecution was a collision between the cultures of Joseon and the western world. Resulting from large and small conflicts, Joseon came to open up, share, and interact with the world. 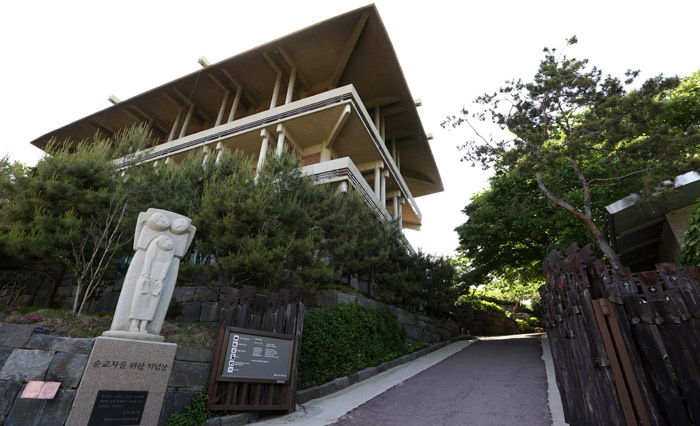 The name of the place was later changed to Jeoldusan Martyrs’ Shrine. In 1966, the Martyrs Museum was established in commemoration of the 100th anniversary of the historic persecution. A visitor pays respects to the souls of victims of religious persecution. The opening-up of Joseon in the late 19th century left the region resistant to western culture as a symbol of both “open” and “trade.” Under the United Kingdom-Korea Treaty of 1883 adopted on October 27, the two nations agreed to meet and trade in Yanghwajin. This rule was equally applied to Germany, Italy, and Russia later on. 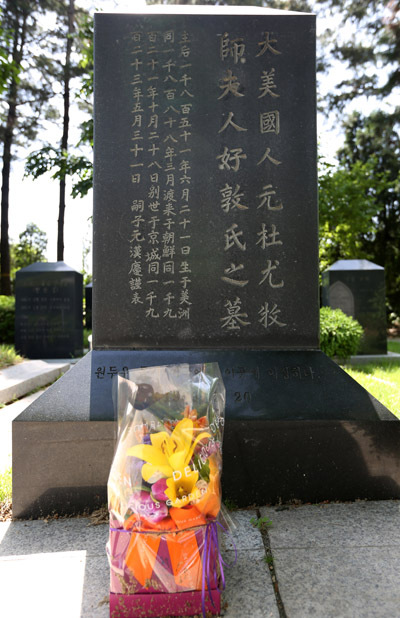 Since 1893, the place began to fill with tombs of foreigners residing in Korea and was turned into a cemetery. It has been largely influenced by the provisions of the fifth clause of Article 4 in the treaty between the United Kingdom and Korea. It reads: Joseon allocates some parts of trading areas for graveyards for foreigners and allows exemptions from any type of land taxes. 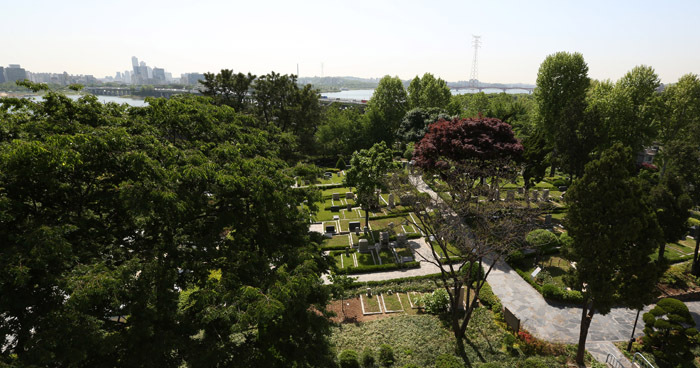 Currently, a total of 471 foreigners’ graves are found throughout the cemetery, which spans around 14,000 square meters at a corner of Yanghwajin. 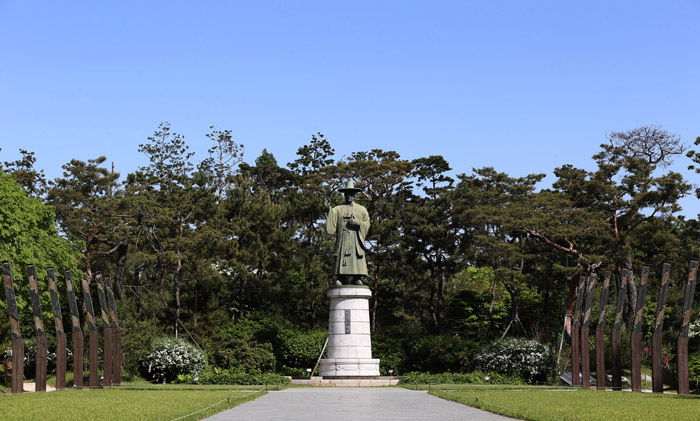 Major figures interred in this tomb area were spotlighted as having dedicated themselves to Korea’s modernization and independence. 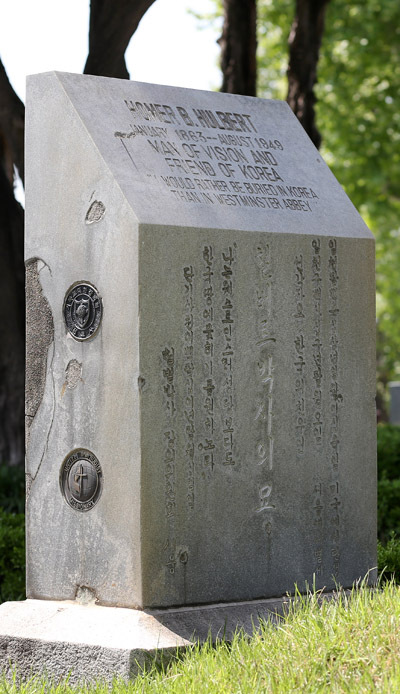 The tomb of Ernest Thomas Bethel (1872-1909), also known by the Korean name Baeseol, who worked as an editor of the Daehan Daily Newspaper. 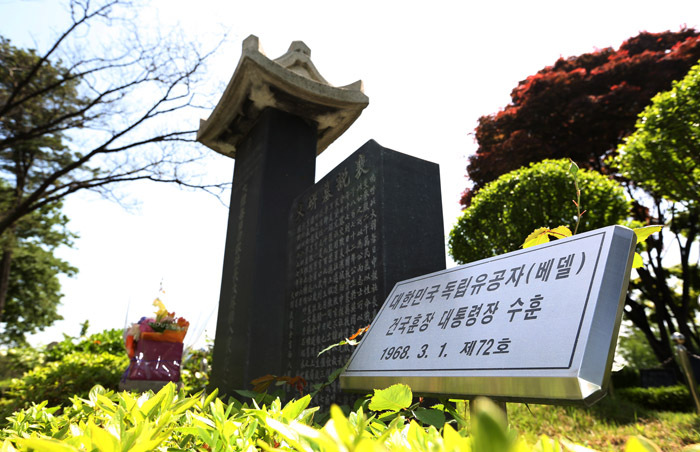 Bethel was posthumously honored as an independence patriot for his dedication and participation in Korea’s struggle for independence from Japan. The tomb of Horace Grant Underwood (1859-1916), a Presbyterian missionary from the U.S. The tomb of Homer Hulbert (1863-1949), who served as an aide of King Gojong and actively supported Korea’s independence from Japan. 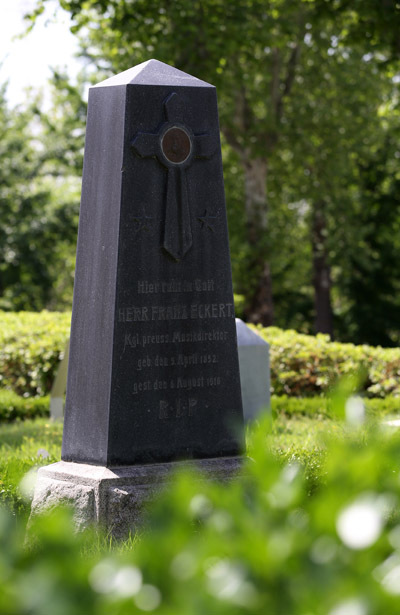 The tomb of German musician Franz Eckert, who founded and instructed Korea’s first military bands. 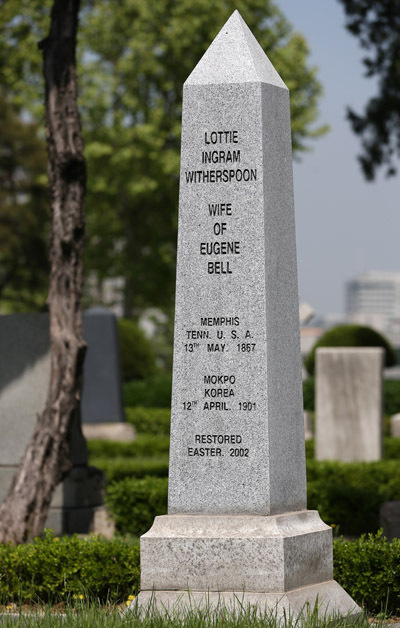 The tomb of Charlotte Ingram Witherspoon, wife of U.S. missionary Eugene Bell.The Eugene Bell Foundation was established to mark Eugene Bell’s missionary work and his descendants have resided in Korea for five generations.